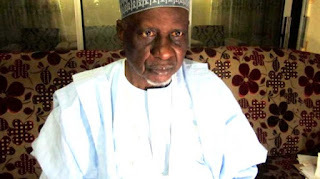 Tanko Yakasai, an elder statesman, says there are more problems in the north because the administration of President Muhammadu Buhari is not maintaining and funding the Almajiri schools built by ex-president Goodluck Jonathan. In an interview with PUNCH , Yakasai lamented that the current administration is not taking measures to address these problems. “There are some universities established by the Goodluck Jonathan administration. There are nine in the north and three in the south. Till today, they are not being maintained and funded,” he said. “The same thing is happening in the case of the Almajiri schools which Jonathan started in the north where the children can combine Islamic education with Western education. They are not being maintained now. That is why we have more problems in the north. Government is not doing anything to address the problems. He said the improvement in the country’s foreign exchange is because of the rise of oil price, and not due to any government policy. “What have they achieved in the sector (petroleum)? In the case of Malaysia, Indonesia, they were able to achieve so much in the agriculture and petroleum sectors,” Yakasai said. “The Buhari government is laying claim to the improvement in foreign exchange. But we know that the improvement in foreign exchange in Nigeria is as a result of the increase in oil prices internationally. It is not as a result of any internal policy of the government.